NOW WITH GAME CENTER LEADERBOARDS & RETINA DISPLAY support!!! 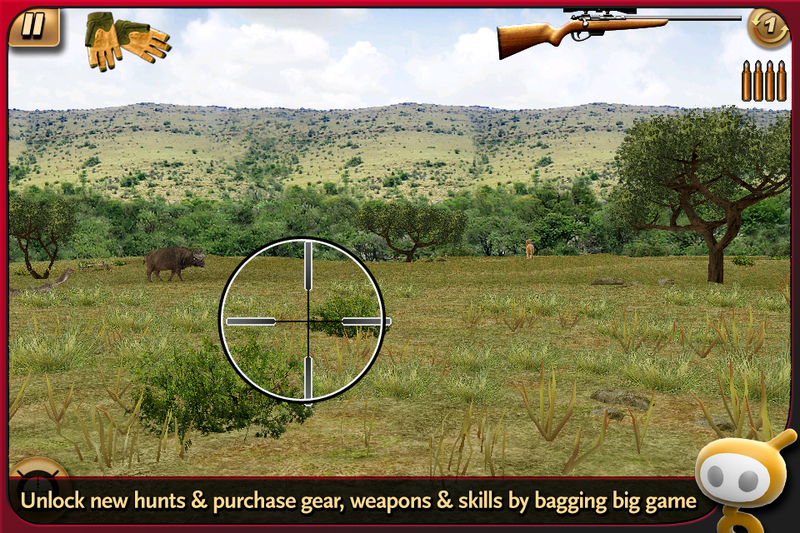 The most realistic hunting franchise on the iPhone returns with an all new adventure: Deer Hunter: African Safari! Travel to South Africa, Cameroon and Tanzania to bag exotic big game such as Zebra, Buffalo, Kudu, Elephants, Lions and more! Experience breathtaking African scenery as you progress from rookie to master hunter, unlocking new hunts and purchasing new gear, weapons and skills. Participate in multi-day hunting excursions or opt for quickplay mode where you can choose from lightning and bonus rounds. RETINA DISPLAY - now hunt with high resolution graphics throughout Africa! All new GYRO controls for unique shooting experience! Tilt the phone in any direction to accurately control the lateral and vertical movement of the crosshairs and line up your shot! 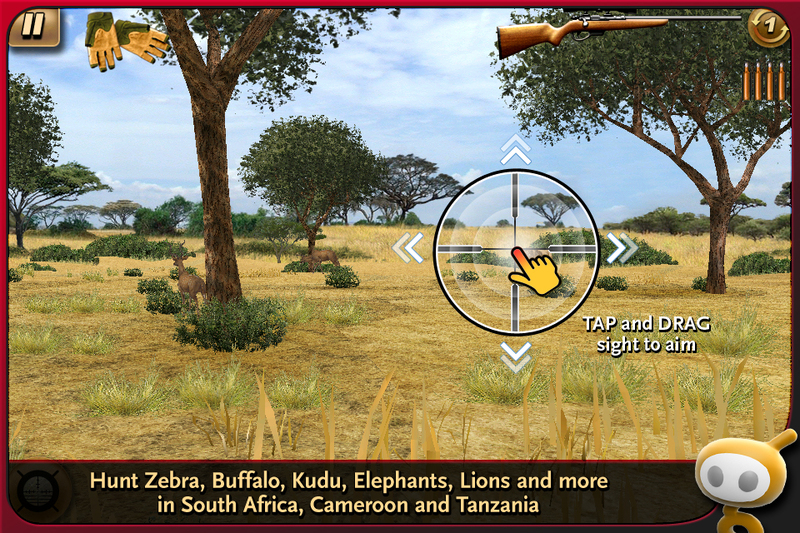 Hunt in 3 different African countries including South Africa, Cameroon and Tanzania, all expertly rendered to make for the most realistic hunting sim experience available on the iPhone. All new exotic big game indigenous to Africa: Zebra, Buffalo, Kudu, Elephants, Lions and more - all with true-to-life sense and behaviors! Stay alert! 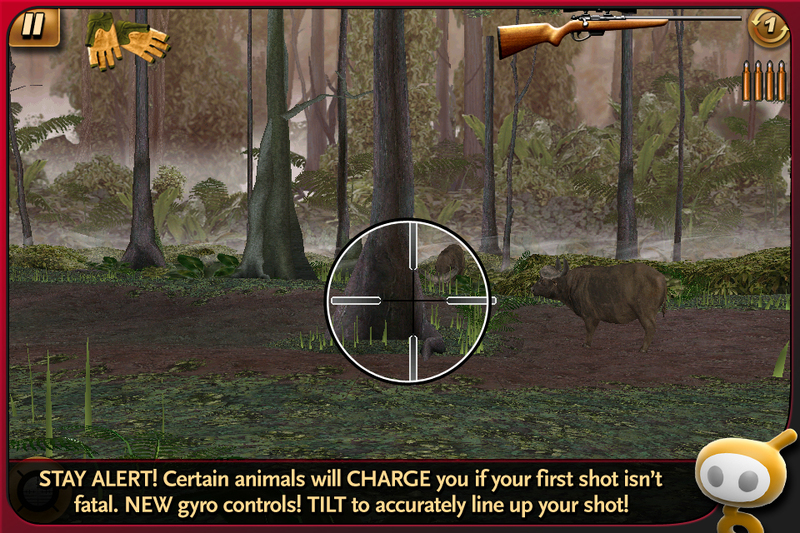 Certain dangerous animals like buffalo and lions will charge at you if your first shot isn't fatal, leaving you less reaction time to fire a second shot. Toggle weapons mid-hunt - you can now choose between 2 different weapons during any given hunt. 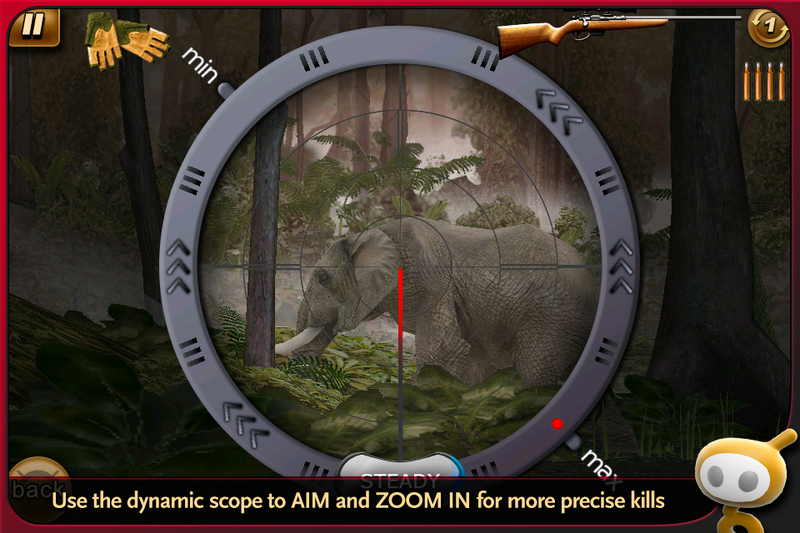 Use the dynamic scope to zoom in and fire more precise shots, hitting your target's ""kill zone."" Develop your skills: accuracy, reflexes, endurance, tracking and stealth. The bigger the game, the better the game - unlock new hunts and purchase new gear, weapons and skills by bagging the biggest animals. 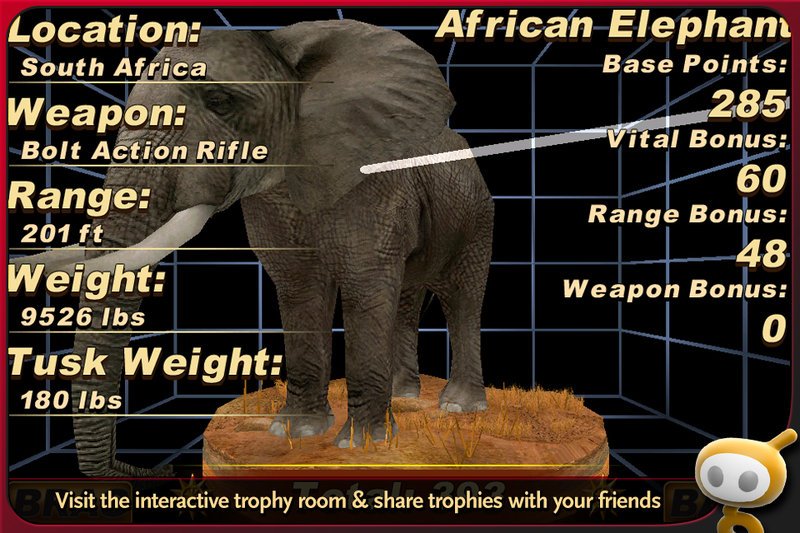 Visit the interactive trophy room and re-live your most skillful kills - view stats such as bullet trajectory, exact position of the animal when killed, and any bonus points earned for kill zone hits, vital hits, specific trophy values and distance. Share Trophies of your most revered kills with friends. Deer Hunter: African Safari is free to play, but you can choose to pay real money for some extra items, which will charge your iTunes account. You can disable in-app purchasing by adjusting your device settings. More Games by Glu Games Inc.